With our unpredictable British weather, transitioning from your spring to summer wardrobe isn’t always a simple process. A summers day in Blighty might leave you sweltering, but more often than not, it can bring freezing temperatures and spitting rain, leaving you wondering what on earth you’re going to wear that day. The answer here is layering. A well-layered outfit not only looks chic, but also keeps you warm and comfortable when the British weather isn’t on your side. Thin knits and jackets are perfect for wearing over dresses and tops, whilst lighter dresses are great with sandals in warmer weather and with tights if it’s a little bit chilly. The super-chic, Refa Tailored Jacket (LR01) £85 is just the ticket for layering up for both smart and casual occasions and can be worn open or with its two-button fastening. Team it with an easy-wear top like Poppy's Ribbed Scooped Neck Top (JP245) £24 and Carr & Westley’s comfortable and versatile wide leg Seashell Trousers (CT60) £55 for a fantastic seasonal combination. 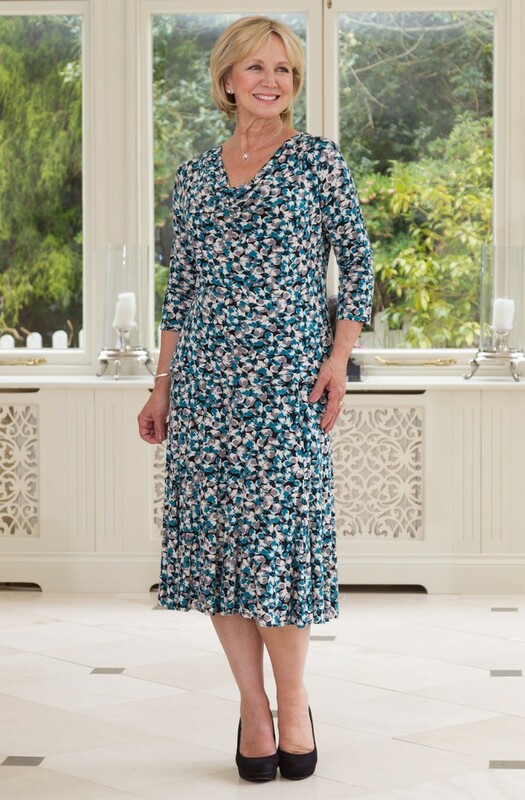 Carr & Westley’s new, limited-edition Bibury Dress (D908) £79 is perfect for the warmer weather due to its pure cotton, cool and comfortable fabric. From our customer-inspired Joy collection, it can be worn on its own or under a lightweight jacket like Poppy's Edge To Edge Jersey Jacket (JP094) £32. These pieces are just a few ideas from the new Carr & Westley’s mid-season Spring into Summer collection. The collection features a whole host of new styles and designs, put together with you, our customer in mind to help you achieve easy outfit combinations for every occasion. This entry was posted in Classic Clothing on April 20, 2017 by admin. The transition from Winter means its time to ditch the coats, wooly jumpers and knits and make way for the lighter fabrics and colours of Spring. Fabric and fit are two key things to consider when choosing your spring wardrobe and spending that bit extra on items will ensure your garments last wash after wash.
We’ve handpicked 5 must-have items from the new Carr & Westley 2017 Spring Collection to help you build your spring wardrobe and ensure you have a stunning range of seasonal and unique prints to take you through the season ahead. Boucle Lumber Cardigan (£60) –The original customer favourite. Round neck, boucle knit cardigan by Poppy. Features two patch pockets and self-coloured buttons. A fantastic extra layer option for the season ahead. Available in Blue, French Navy, Pink and White. Sizes 10 to 26. Back length from 24”. Satin Trim Scoop Neck Top (£24) – Your classic summer t-shirt with an elegant twist. Satin ribbon surrounds the scoop neckline for a delightfully feminine finish. Also features short sleeves and side splits. Made exclusively for Carr & Westley by Poppy. Easy care jersey rib. Back length from 23 inch. Available in Black, Cream, French Navy, Maize, Rose, Sapphire, Turquoise, and White. Sizes 10 to 26. This entry was posted in Classic Clothing on March 9, 2017 by admin. Carr & Westley proud to announce that we are now officially the UK’s only supplier of Poppy clothing. 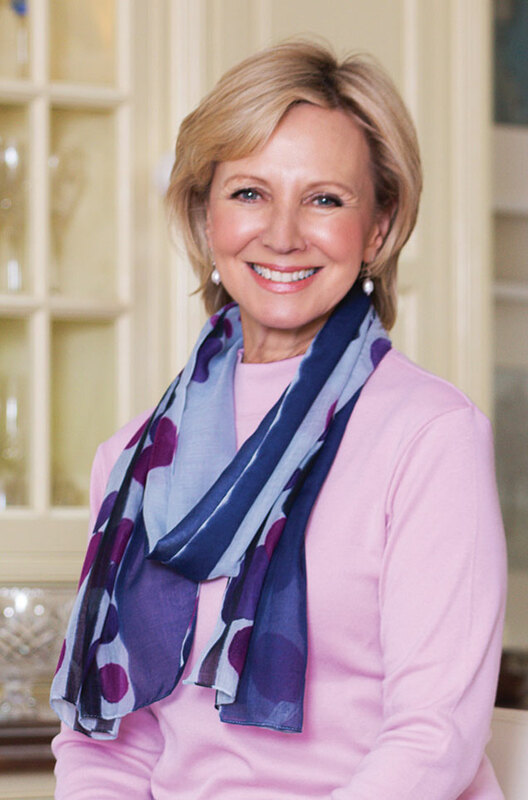 Having worked with Poppy for many years, we are now delighted to offer their fantastic womenswear ranges exclusively to Carr & Westley customers. Poppy has become a customer-favourite thanks to their famous soft jersey and easy-wear designs. Their coordinating ranges of tops, skirts and knits are perfect for everyday wear and seasonal occasions. Step Neck Tee - A real customer favourite, this versatile, easy-to-wear, close-fitting rib jersey T-shirt features short sleeves, side splits and a distinctive jagged/step neckline. Mix & Match with Poppy coordinates or original Carr & Westley skirts and trousers. Available in 7 colour and 9 size options. 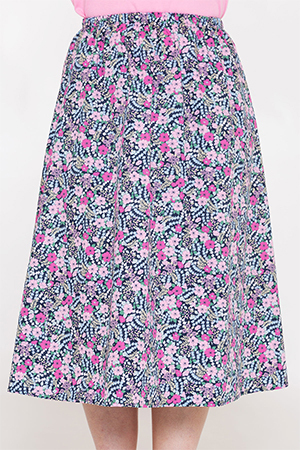 Abstract Flower Print Skirt - This six panel, floral print skirt is made from the brand’s famous soft jersey and features an easy fit stretch waistband. Print coordinates with Abstract Print Floral Polo (JP254) and Sweetheart V Neck Top (JP258). Available in 3 lengths. Eden Dress - This stunning, three tone ethnic print jersey dress by Poppy features a sweetheart neckline and princess line shaping. Perfect for smart occasions, the dress works beautifully with Poppy jersey jackets and cardigans. Easy wear, over the head style with short sleeves. Available in 3 colour, 9 size and 2 dress length options. 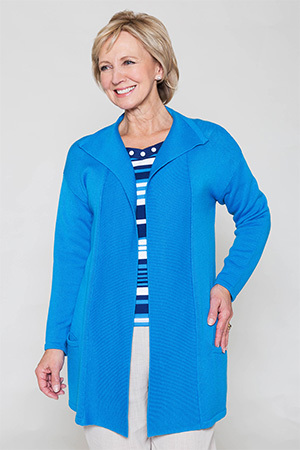 Ribbed Longline Cardigan - This luxurious, plain rib, edge to edge cardigan features a flattering drop shoulder and turn back labels with two useful pockets. Available in 3 colour and six size options. This entry was posted in Classic Clothing on February 13, 2017 by Harry Burton. Brrrrrr! The country is currently experiencing a cold snap. It’s the type of weather that makes you want to snuggle up indoors and get cosy. And what better attire to do that in than a new set of easy care pyjamas or soft housecoat. Carr & Westley selects nightwear essentials that are perfect for every season and the temperatures they deliver. And you can now pickup a real bargain in our end of season sale. Choose from a selection of nightdresses, pyjamas and dressing gowns from popular brands, Slenderella and Triumph, at fantastic discounts. 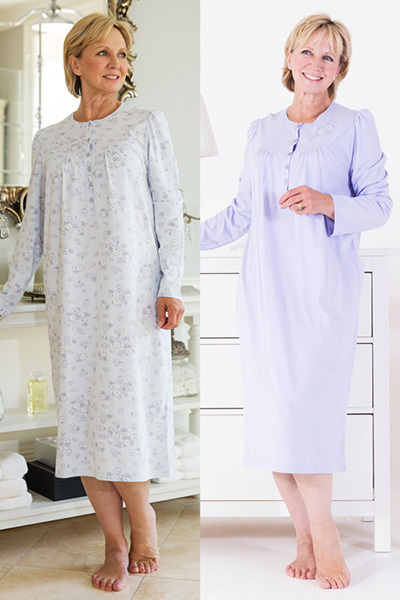 Several of the available nightwear garments are Winceyette style – a light yet warm fabric that is extremely popular during cold weather. The cotton fabric design is similar to that of flannel, only it is a thinner material that does not share the same heavy texture. If you haven’t experienced Winceyette before, there is no better time to try it out. Slenderella Snuggles Thermal Pyjamas - Made from soft handle easy care fabric. Pretty lace and pleats for a feminine touch. Deep four button placket. 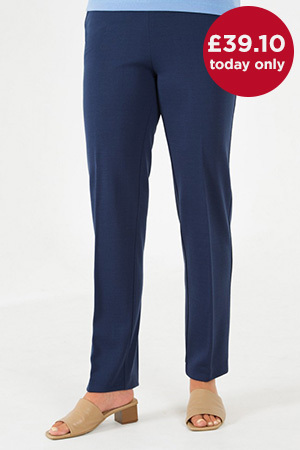 Comfort fit waistband on the trousers guarantee a cosy night's sleep. Triumph Nightie Twinpack - The original, cotton jersey nightdress twinpack by Triumph. A real customer favourite, this pack contains one plain cotton nightdress with floral yoke motif and one printed floral nightdress. 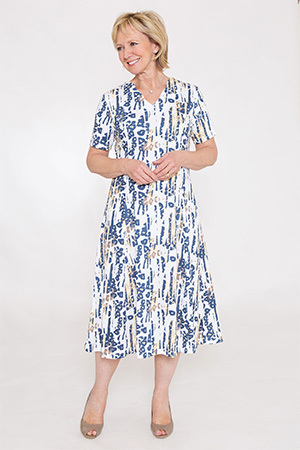 Nightdresses include long sleeves, round neck style with six button placket and gathered yoke. No back seam. Slenderella Classic Tailored Winceyette Pyjamas - Warm handle, ditsy floral print pyjama by customer favourite, Slenderella. Jacket features front pocket, satin binding and covered buttons to fasten. Revers style collar. 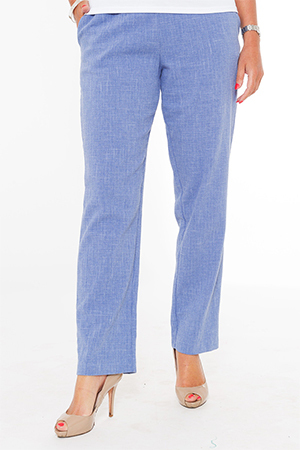 Elasticated waist trouser for complete comfort. Slenderella Bow Print Cosy Nightie - Double brushed cotton wincy nightdress for the young at heart. Enjoy the quality fabric, pretty bow print and smart satin contrast to trim. Features Peter Pan collar, three button placket, gathered shoulders and long sleeves. No back seam. Please be aware that this is an end of season sale, and as such sizes and colours are limited. Please hurry if you are to avoid disappointment. This entry was posted in Classic Clothing on January 26, 2017 by admin. The start of a new year can often signal a ‘new year, new me’ type resolution in the form of a new challenge, adventure or aim. But the resolution might be as simple as just wanting to showcase a new look or experimenting with different garments. And with up to 50% off classic brands in the Carr & Westley Big Winter Clearance, there is the perfect opportunity to try out some different styles. Across our range of heavily discounted tops, bottoms, outerwear, footwear and nightwear you can trial a new look and save money doing so. 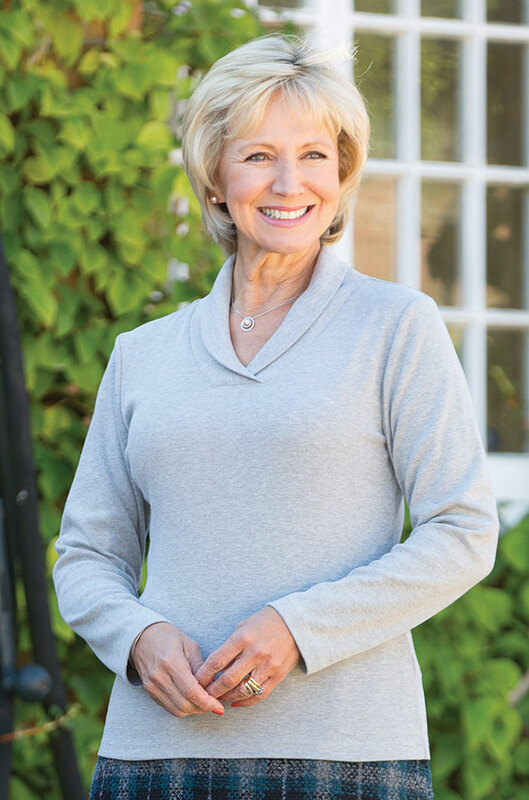 Popular items include Poppy's Coalway Top, a charming folded v neckline jersey with smooth lines for an everyday fit. Now available at the special price of just £18.00 (saving you £4 on RRP). 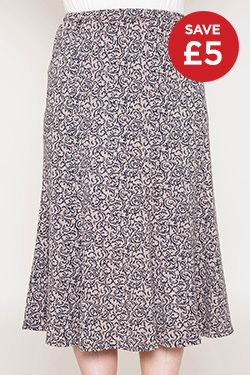 Or why not try a limited-edition, British-made skirt by Carr & Westley. 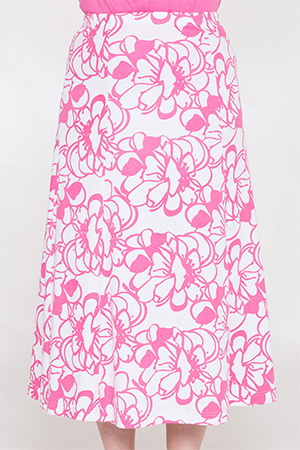 The Belsay Skirt has been an extremely popular design this season, cut a six panel fluted style. Carr & Westley original skirts are made to order and are only available as long as the fabric remains so hurry if you want to snap up this gorgeous patterned design. Now available at a special price of £45 (saving you £5 on RRP). Or, with the recent cold snap we've been having, why not try a pair of thermal pyjamas by Slenderella. The Snuggles Thermal Pyjamas are made from a super soft handle, easy care fabric and are a great option to stay cosy from the outside cold. Snap them up now at a special price of £25 (saving you £7 on RRP). We offer free UK delivery on all purchases, but at these prices, and with only limited sizes and colours left, don't wait…shop today! This entry was posted in Classic Clothing on January 13, 2017 by admin. Accessories add complexity and interest to any outfit. Your whole look can be completely transformed with the addition of just a single item. At Carr & Westley, we have a range of great winter accessories that, come rain or shine, can help transform everyday outfits. So go ahead and accessorise your seasonal look with a choice of stunning coats, bags, hats, scarves and gloves. 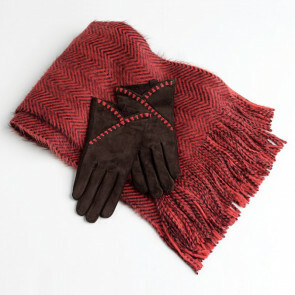 Suede Glove Set - These stylish suede gloves having toning trim to match the super soft herringbone pattern scarf. A luxurious gift set from Dents and a great Christmas present too! Only £30.00 - available in Chocolate or Red. This entry was posted in Classic Clothing on December 9, 2016 by Harry Burton. You’ve probably heard of Black Friday – the annual retail bonanza and now the biggest shopping day of the year here in the UK. Today (Friday 25th November) is this year's Black Friday and we’re getting involved in the shopping event by offering customers 15% off across our entire range of classic clothing, accessories, nightwear, underwear and footwear. So how does the discount work? All you need do is put code BF15 at the checkout to activate the 15% discount. Products that already have discounts will also qualify for an additional 15% off – what a bargain! A great chance to get discounts on Christmas shopping gifts or just an opportunity to treat yourself! We’ve selected some of our favourite discounted items to get you started…..
Nikita Fur Trim Hat - A warm and stylish faux fur hat by Pia Rossini. With a cable knit crown it wears as part of a beautiful set with the Nikita gloves (AC073). Sandringham Skirt - A superior quality, wool rich jersey knit skirt from Carr & Westley’s new ‘Joy’ Collection. Thoughtfully crafted for fit and durability, it’s your future wardrobe staple for effortless mix and matching throughout the season . Belgravia Jacket - Classic style, three quarter length coat from Lebek. Set in sleeves and princess lines for flattering timeless elegance. Neat collar, buttons to the neck, jetted pockets trimmed with faux leather binding. 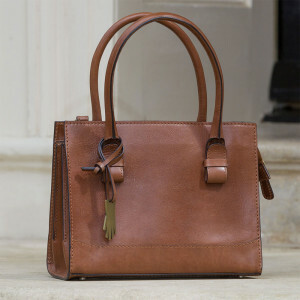 Dents Leather Organiser Bag - Elegance is personified in this beautifully designed, quality leather shoulder bag from Dents. Medium size with twin handles and optional adjustable shoulder strap. This entry was posted in Classic Clothing on November 25, 2016 by Harry Burton. The weather has definitely made a chilly turn now Autumn has settled in, but yet it’s not quite time for winter woolies, hats and scarves. We’re in that tricky stage, the transitioning stage between seasons, where it can be difficult to know quite what to wear. Between Autumn and Winter, the answer is in layering, adding warmth and texture and giving a different look to your outfit. Boucle Lumber Cardigan (£58) – a very popular, round neck boucle knit cardigan by Poppy. A favourite warm knit style for an extra layer, it can be worn over a round, crew neck or polo top (both long and short sleeves). For example, team the silver colour way with Betsy's Dragonfly Roll Neck Top (£36) with its cosy neckline and long sleeves. A fantastic relaxed, everyday wear option. Betsy’s Check Knitted Jacket (£65) is a super cosy, wrap-style jacket which makes a stunning throw-over for the colder months. Or try Lady at Double Two’s Smart Casual Jacket (£60) which makes the ideal option for that smart casual moment when you want to dress up a little. Layer over a thin, long-sleeve top of your choice. All 3 items can we worn with Hadlow Trousers (£46) which are a wardrobe staple, made in Britain by Carr & Westley’s skilled seamstresses and available in 5 different colours. This entry was posted in Classic Clothing on November 9, 2016 by Harry Burton. With the nights drawing-in and a distinct chill in the air, Winter is well and truly on the way. So embrace the season ahead with the new Carr & Westley Autumn/Winter Collection. The new collection includes a range of seasonal styles to take you anywhere, as well as the introduction of our new Joy collection - a selection of specifically designed and styled garments that are a result of Carr & Westley customer feedback and research. We spent a considerable time with our designers, working with new fabrics and garment styles to produce a collection we're truly proud of, so we hope you like what you see! 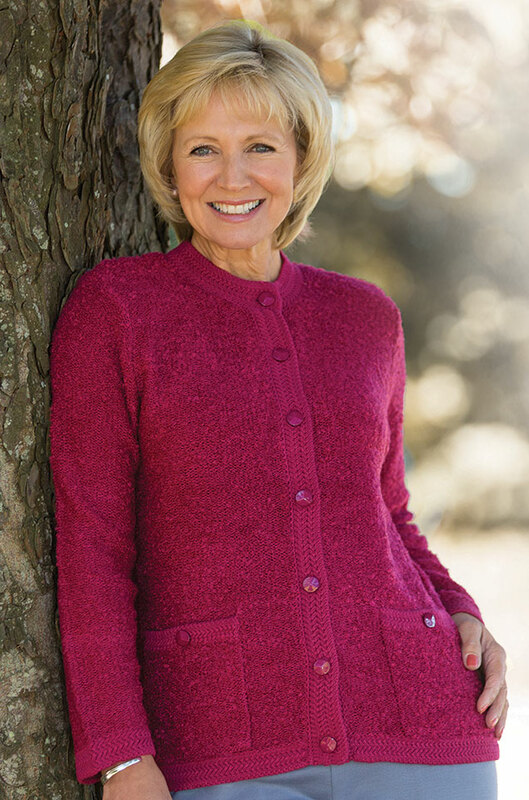 Boucle Lumber Cardigan - a round-neck, boucle knit cardigan by Poppy, featuring two patch pockets and self-coloured buttons. 5 different colour options and 9 different sizes. 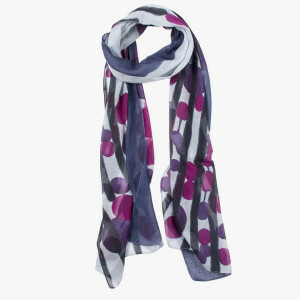 Dents Spot Scarf - Italian-made, featuring an abstract spot print pattern. Great for accompanying everyday casual outfits. Aztec Jersey Skirt - A graceful multi-panel skirt, perfect for smart events and functions. Wear it individually or match with the Pablo jacket & Aztec Jersey top for a stylish outfit. Choose from seven skirt sizes and two different lengths. Poppy Stow Top - Easy fitting, long sleeved jersey rib top by Poppy. Features crossover shawl style collar and smooth lines - a future classic. Four colour options and nine sizes to choose from. This entry was posted in Classic Clothing on October 24, 2016 by Harry Burton. We are delighted to introduce our new and exclusive ‘Joy' collection, created specifically for you, our customers in mind. In the summer of 2015, we conducted a survey with over 1,000 of you. We asked how your attitude to fashion has changed over the years, your thoughts on high street retailers and what you wanted to see more from in your choices of clothing. Our new ‘Joy’ collection is a result of your feedback. 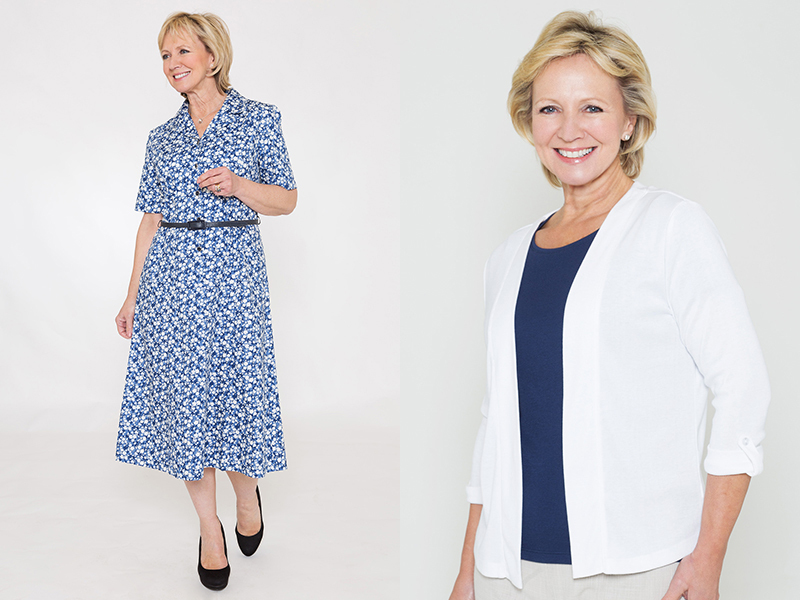 A new range of expertly-crafted garments, made from fine quality fabrics that offer flattering, yet comfortable fits. We refined a variety of unique patterns and new garment styles that make you look and feel fabulous – and make a statement! This entry was posted in Classic Clothing on August 22, 2016 by Harry Burton.